London, 1962. Two teenage girls – Ginger and Rosa - are inseparable; they play truant together, discuss religion, politics and hairstyles, and dream of lives bigger than their mothers’ frustrated domesticity. But, as the Cold War meets the sexual revolution, and the threat of nuclear holocaust escalates, the lifelong friendship of the two girls is shattered - by the clash of desire and the determination to survive.  Ginger & Rosa, directed by Sally Potter, stars Elle Fanning, Alessandro Nivola, Christina Hendricks, Timothy Spall, Jodhi May, Annette Bening and Alice Englert. The film premiered at Toronto Film Festival and was also shown at the 56th BFI London Film Festival.